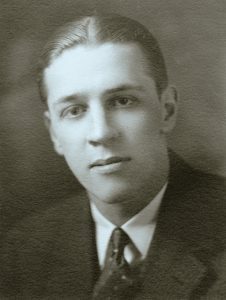 George Willard Wilson lived in Truro, N.S. He was deputy mayor of Truro in the 1940’s, and was an outstanding hockey player for the Truro Bearcats. The family moved to Dartmouth after the Halifax Explosion where their construction company was involved in the reconstruction of Dartmouth. George entered the family business in the 1920’s and they gradually phased out of the construction business and developed the Fuel business. After the second world War the company made the transition from coal to oil and in 1955 was changed from Wilson Coal Company to the Wilson Fuel Company Limited. George married Teresa Madelyn in 1927. They had four children, David, Annike (Jans), Judith, and George (Peter). 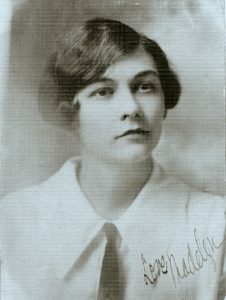 Madelyn was a teacher in Stellerton before she was married. She launched the Corvette HMCS Truro on behalf of the Town of Truro during the war. She was very active in the Anglican Church and IODE. They lived on 83 Queen Street in Truro.